Craving an incredible franchise opportunity? The first Sweet Jesus opened in 2015 in the heart of the Entertainment District in downtown Toronto. Since its inception, our award-winning brand has become one of the industry's fastest growing franchise concepts. Today, we have grown the brand throughout Canada; in the United States; as well as overseas under the brand name "Sweet Salvation". Uncompromised commitment to taste and quality. Sweet Jesus is the market leader in the specialty ice cream category and is an innovative franchise concept that feaetures handcrafted, chef inspired pimped out soft serve ice cream. Our ice cream treats combine artisanal flavours and ingredients curated by our Research & Development team and are social media worthy. Delighting guests with elaborate soft serve concations, we have developed a massive and loyal fan base. Sweet Jesus has become enormously popular as the No.1 most instagrammed food item in all of Canada with over 115,000 instagram followers. Commitment to support your success. Being a part of a highly developed, sophisticated franchise system, Sweet Jesus franchisees benefit immensely from the comprehensive support services in the areas of marketing, menu innovation, operations, purchasing, franchising, real estate and construction. In 2019, Sweet Jesus won the covated Award of Excellence and Franchisee Choice Designation Awards. 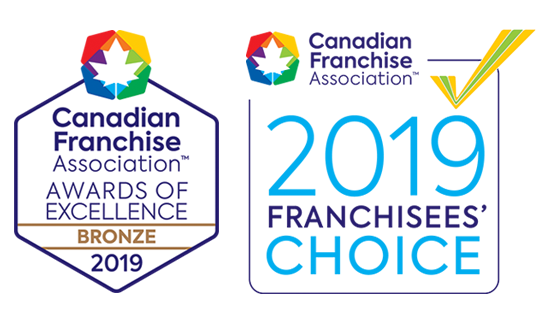 These awards are presented annually by the Canadian Franchise Association and is awarded to CFA member franchise systems that have demonstrated the strongest relationships with their franchisees and are the highest achievements within the franchise industry. Sweet Jesus seeks high profile retail locations with strong day time, night time and weekend foot traffic. If you've made it this far and would like to learn more details about franchising Sweet Jesus, you can click HERE to view our Franchising Deck. Interested in applying? Please fill out this APPLICATION FORM and email it to franchising@sweetjesusicecream.com. If you have any franchising inquiries, please use this form.